Spring is here and Summer is just around the corner…that means ICE CREAM! 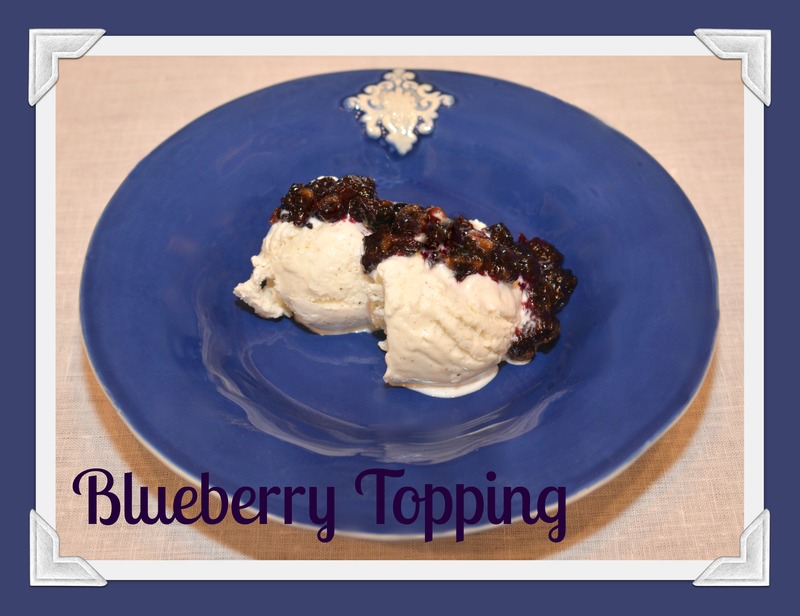 I have the best, best, BEST topping to add the perfect summertime ZING to your ice cream! This takes only minutes to prepare…HONEST! Let me know what you think…but for now, I’m headed to the screened-in porch to enjoy my own delicious sample! Spread the blueberries out in a small baking dish and drizzle with the lemon juice. In a medium-sized bowl, mix together the brown sugar, flour, cinnamon and vanilla. Cut in the butter until it forms coarse crumbs. Sprinkle these crumbs over the top of the blueberries and bake in a 375 degree oven for 25 minutes. Let cool slightly and then serve warm over ice cream, pound cake or even spread it on your morning toast!